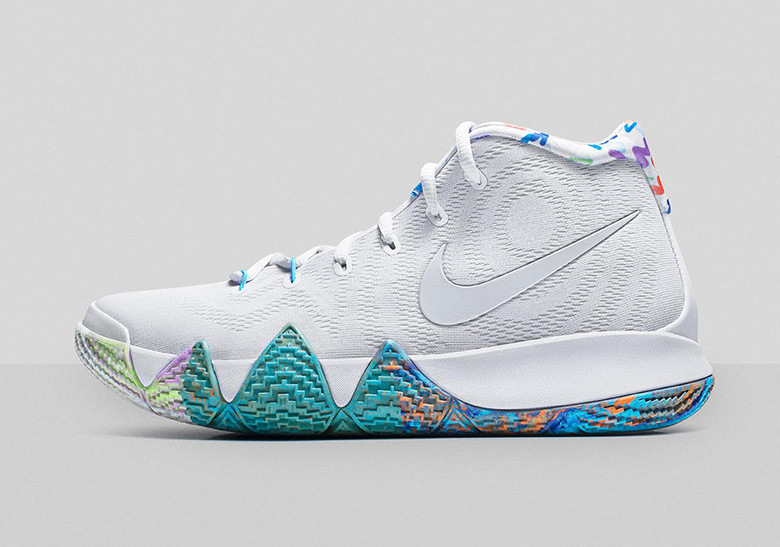 If there was ever any doubt before this off season who the signature shoe king of the current NBA is, this recent slate of Nike Kyrie 4 releases will almost certainly put an end to that debate. 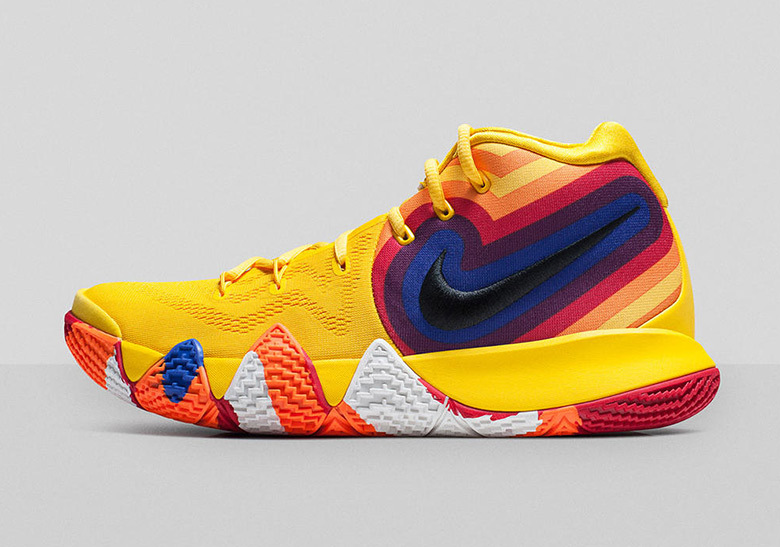 Highlighted by the energized “Cereal Pack“, the Summer has been kind to Irving and fans of his growing line of footwear, with three more colorful renditions forming the “Decades Pack”. Celebrating the 70s, 80s, and 90s, each of the three selections pays homage to certain aesthetics and motifs from its respective era. While we have already seen all three of these selections, the meaning behind them had not yet been revealed. 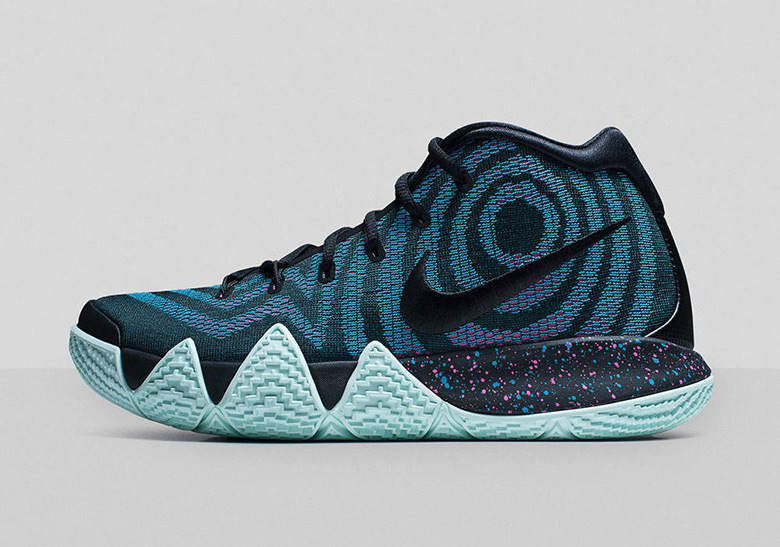 Starting with the Kyrie 4 for the 1970s that boasts a color scheme reminiscent of Uncle Drew’s old school fan from his self-titled debut on the silver screen, it is meant to emulate the individual expressiveness of the music-loving, care-free 70s as well as the dance-like handles Irving displays each and every night on the court. Dressed in a fluorescent pattern, the pair for the 1980s hones in on the era’s bold creativity as well as the star power the championship point guard emulates when he has the rock in his hands. Finally nostalgia is in full swing with the cleanest pair of the bunch, harkening back to Irving’s days of watching Saturday morning cartoons, proving he has still remained a kid at heart. It is clear that Irving’s childhood and past have played a major role in who he is today, proven not only by this new set, but also by the aforementioned Cereal Pack that featured iterations dedicated to Kix, Lucky Charms, and Cinnamon Toast Crunch, sugary breakfasts usually enjoyed by children. Peep a detailed look at this time machine of a sneaker collection below and look for pairs to begin arriving on Nike.com and at other retailers this month If you’re in Europe, the “80’s” colorway is available now from Nikestore EU.